When Valerie told me she was ready to move into my house. There is never one person touching my life in a week. I have had my life touched by Patty, Tanya, Emily, Valerie, and Danielle, among others. Although I have to mention that a woman named Peg at BJM Staffing made the biggest impression on me by remembering that I had already met with her a few years back. I'm going to give Valerie a place to live. I need to shuffle all my stuff around so that Valerie can have more space for her stuff. Oh, and I need to file my tax return. 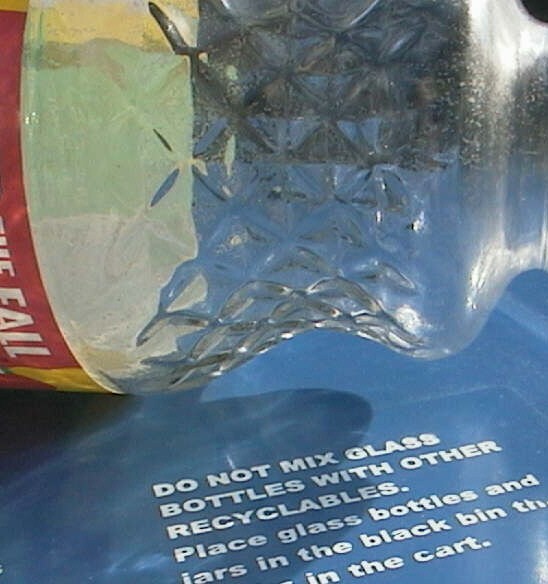 I will recycle my glass bottles.